Our Friendly Fireplace Professionals Today! 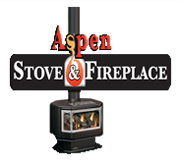 We sell, install, clean, and maintain fireplace in the Colorado Springs and Pikes Peak Region. Ron is a retired Colorado Springs Fire Fighter. We have been serving Colorado Springs and the surrounding areas since 1983. We are a family owned and operated business, consisting of my wife and three sons.